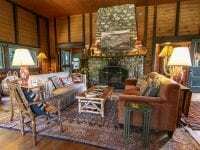 The well known and historic Lone Pine Camp in Keene Valley built at the turn of the century, has original details throughout that have been lovingly maintained over the years. This gorgeous Adirondack Camp boasts expansive 180 degree mountain views from decks on several levels. There are multiple buildings including a year round cottage, separate office/den hideaway, cook cottage and a 3 car garage. There are 11 bedrooms, 5 full baths, 2 half baths, large kitchen with butler’s pantry, breakfast room, dining room, sitting room with fireplace and a spacious great room with massive stone fireplace that is ideal for gatherings on cool evenings. There is an invisible fence, perfect for pets and plenty of lawn area to enjoy the outdoors. This great real estate offering is being sold complete with furnishings. Enjoy the solitude of a 20 acre setting with private walking trails or venture to the areas surrounding you for everything from several swimming sites to hiking/ski trails and rock climbing! 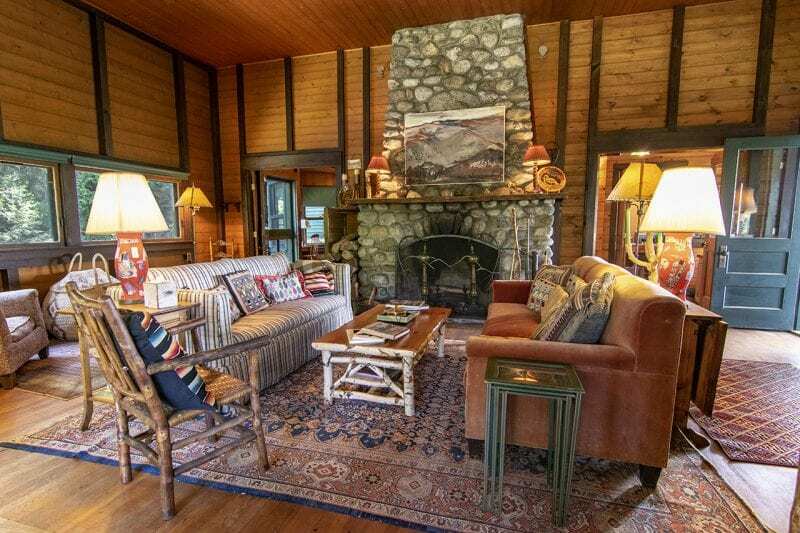 This rare opportunity to own a piece of the Adirondacks in a lovely private setting rich in history, sits waiting for you to make your own memories!